We're committed to creating deliciously genuine Bajan food for everyone. 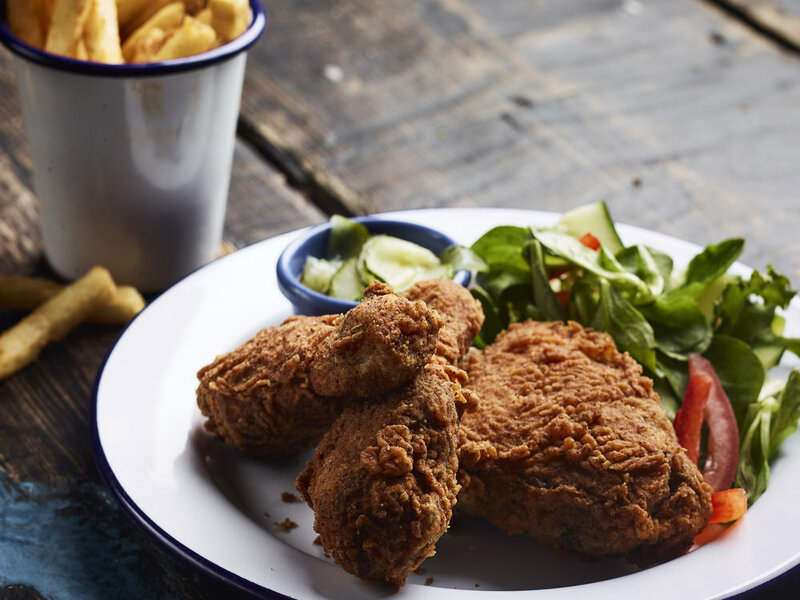 All of our dishes are lovingly prepared just as they should be. Freshly made with only the finest ingredients, you'll not find better, and more authentic tasting dishes outside of the islands themselves. 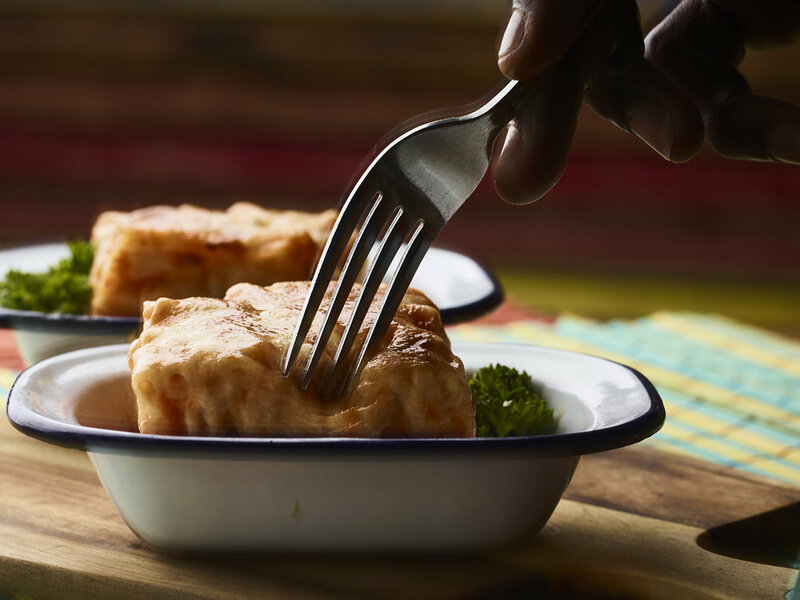 We stop at nothing to source and prepare the right ingredients – whether it's the salted cod in our famous fish cakes or the day we take to brine and marinade our meat. Below are some of the favourites that we serve up. 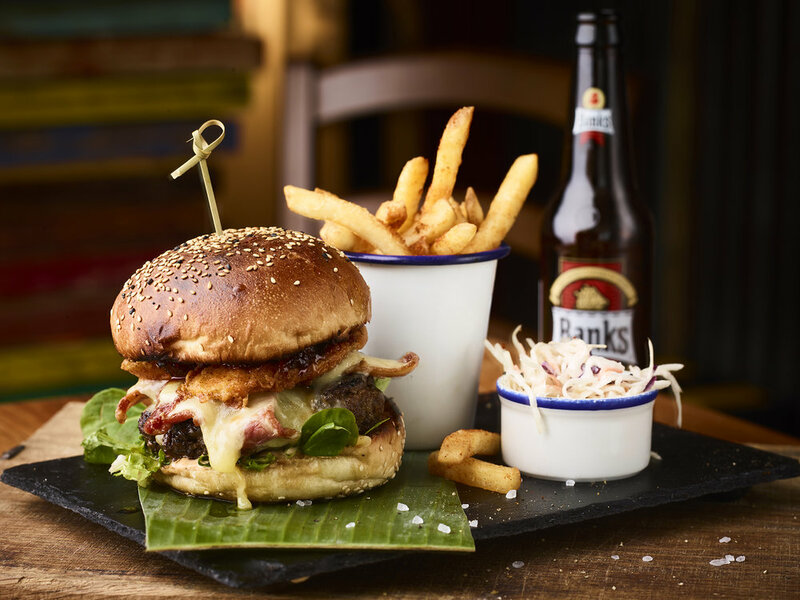 We've also a bunch of daily specials including the new 'Taste of Barbados' – a culinary whirlwind tour of what's best on offer from Barbados. Pick from our wide selection of light bites and sides as a tapas-style experience of what's on offer from the kitchen or simply as a delicious opener to your Bajan feast. All of our classic Bajan dishes served up just as you like them. 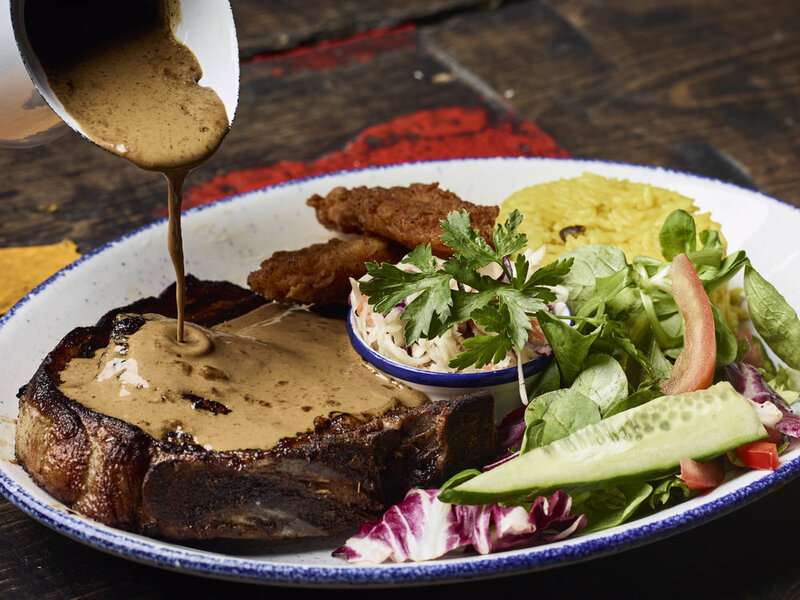 Whether it's our brined 'proper' pork chops that have been lovingly prepared for two days before they are ready for cooking or our famous Caribbean burgers, packed with all we could throw at them, you'll be sure to find something special. It wouldn't be a Bajan food experience if you couldn't finish with a fabulous pudding. From refreshing passion fruit sorbets to bread and butter puddings, there's something for everyone.